10 Ways to Cut Your Summer Power Bill – Canstar Blue. Ah summer, the season for barbecues, beaches, cricket and… stupidly high power bills. Whether you’re blasting the air con or hosting the extended family over Christmas, it can be difficult to keep on top of your power usage. So, to help you get through this summer with your bank account intact, here are a few simple tricks that can save you hundreds of dollars. It can be tempting to try and beat the summer heat by blasting the air conditioner, but keep in mind that this can quickly rack up the energy bill. 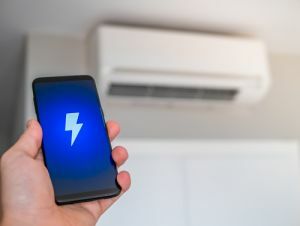 Canstar Blue estimates that a typical split-system air conditioner can cost between $0.25 and $0.95 per hour, depending on the efficiency of the model, the running temperature and the size of the area being cooled. As the table below indicates, reducing your air conditioner usage by a few hours per day could save hundreds of dollars each quarterly bill. For example, halving your air con usage from 6 to 3 hours a day could save you $163 this summer! * Prices assume an average running cost of 60c/hour for 90 days. Similarly, the temperature that you run your air conditioner can have a big impact on the cost of using the air con. For example, a typical 8kW air conditioner costs $0.66/hour to run at 21°C, however it only costs $0.46 to run at 25°C. If you use your air con for 4 hours per day on average, this is a cost saving of $72 over summer. What is the cost of running air conditioning this summer? What is your air con temperature setting costing you? 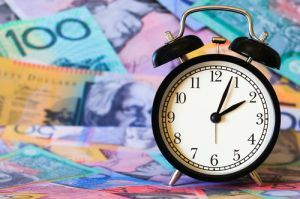 Many Australians, particularly in Victoria and NSW, are on what’s called a ‘time of use tariff’. Customers on this tariff are charged low electricity usage rates during ‘off-peak’ times, and high rates during ‘peak’ times when electricity is in high demand – generally from the mid-afternoon into the evening. If you’re on this tariff, then it is important that you minimise electricity usage during peak times. Use appliance timers to shift some of your electricity usage to later in the evening and consider turning off the air con. Customers in Victoria and NSW might also be on a ‘demand tariff’. If you’re on a demand tariff, you are charged a ‘demand charge’ that reflects your peak usage within a 30 minute during peak times. Again, if you’re on this tariff, it is important to minimise your electricity usage in peak hours. A dirty air conditioner filter can increase the system’s running costs by up to 15%. If your air conditioner has been collecting dust over the spring months, then you should clean out the grime and dust caught in the filter before you switching it on this summer. Click here for a guide on cleaning your air conditioner. An oven is practically a room heater. Even if you don’t notice it immediately, the heat from an oven – especially older models – can spread through the kitchen and living areas, making an already hot day unbearable. For this reason you should minimise your oven use through the day. Not only will minimising oven usage keep your home cool, it will also help reduce your power bill this summer. An oven with a relatively modest output of 2.3kW will cost you $0.76 per hour to run with a 33c/kWh usage rate. Running your oven can be even more expensive if you use it during the evening peak times. Assuming a peak rate of 48c/kWh, the cost would skyrocket to $1.10 an hour. As the tables below show, customers can save hundreds of dollars by reducing their oven usage this summer. *Illustrative prices calculated assuming an average running cost of 33c/hour for 90 days. *Prices assume an average running cost of 48c/hour for 90 days. Other appliances left on standby can also produce small amounts of heat and contribute to your power bill. By unplugging TVs, computers, microwaves and any other appliances that don’t need to be left on, you can save $20 to $35 this summer. Although that’s relatively modest, you might agree that it’s better in your pocket than your energy company’s. 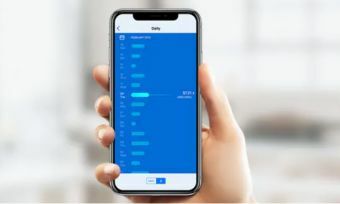 Live electricity usage monitoring helps you take control of your energy usage by providing real-time access to your home’s electricity usage. Electricity monitors cost in the vicinity of $50 to $400 and provide insights into when you’re using electricity and even how much power certain appliances are sucking up. You can use this information to adjust your usage habits and potentially save hundreds this summer. Of course, the amount you save with electricity monitoring depends on how diligently you use the information. Fridges are one of the largest single contributors to household electricity bills – after all, they are on all the time. If you’re one of the many Aussie households that own more than one fridge, then you should consider whether it is really necessary, or at the very least, whether the second fridge needs to remain on constantly. It might even save you money in the long term to sell both fridges and upgrade to a single larger fridge. As you can see, an additional fridge can cost you over $100 this summer, potentially more if your fridge is old or iced up. The energy efficiency star rating can also make a huge difference. 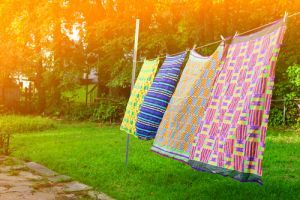 Summer is storm season for much of Australia, which means you might rely on your clothes dryer a lot more in summer than other times of the year. While clothes dryers are convenient, they aren’t exactly cheap to run. A typical 6kg clothes dryer with a 4-star energy efficiency star rating costs approximately $1.24 per cycle. The below table shows just how much this could cost you over summer, depending on how much you use your dryer. As you can see, reducing your clothes dryer usage by just a few loads per week can have a noticeable impact on your power bill this summer. So if it’s sunny, be sure to make the most of it by hanging your clothes out. If it’s rainy, then consider if it’s worth investing in a small clothes drying rack to put under the patio. Home insulation is a cost-effective way to keep your home cool in summer. It also drastically improves the efficiency of air conditioners by trapping the cold air inside. 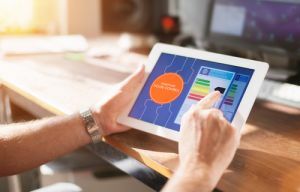 While insulation can be a little pricey upfront, particularly if the work requires a professional, in the long term you should see considerable savings on your power bill. The sun shining on glass windows can turn your home into an oven. Shade window exteriors with awnings or pergolas outside and blinds inside, especially if the window faces north or west. If you have the budget for it, consider double-glazing your windows to reduce heat flow in and out of your home. 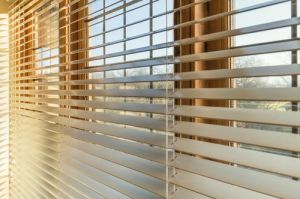 You should keep windows, blinds and curtains closed through the hottest part of the day, but open them up to catch some of the evening breeze when it cools down. Even if you follow all the tips in this list, you’ll still be paying too much if you’re getting a bad electricity deal. Unfortunately, if you haven’t compared electricity companies in the past two years, chances are that you’re paying too much for power. We understand that you would rather be on the beach soaking in those summer rays than comparing electricity plans, so Canstar Blue has made comparing providers quick and easy. See how much you could save with our price comparison tool and customer satisfaction star ratings via the link below.